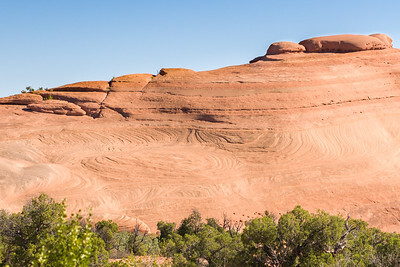 Interesting patterns in the rock. 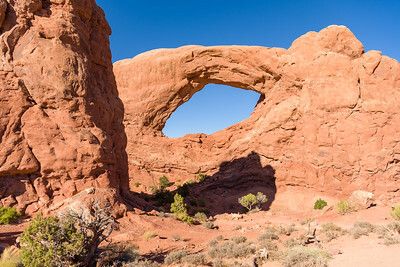 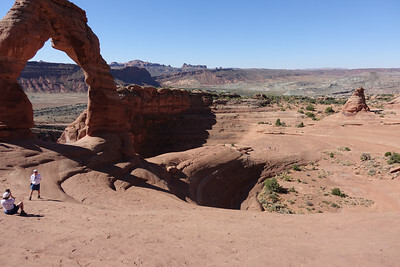 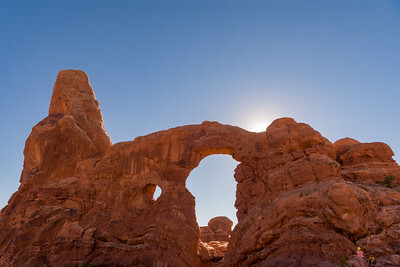 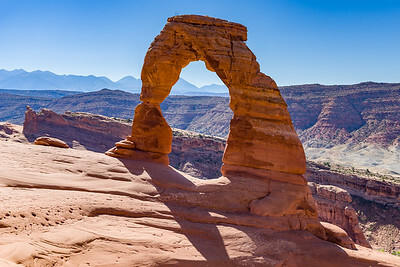 Delicate Arch in Arches National Park isn't so delicate. 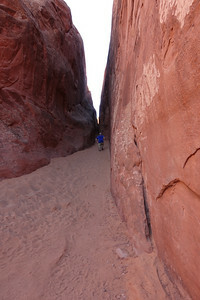 It is over 40 feet (12m) tall. 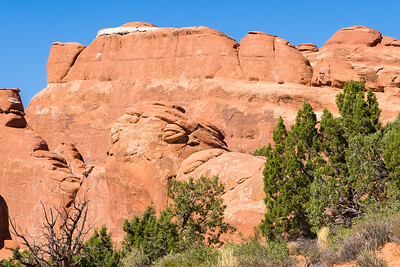 The hike to get to it is over 3 miles (4.8km) over baking slickrock and areas of fine, soft sand (much like walking on a beach). 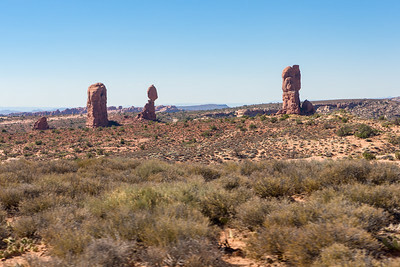 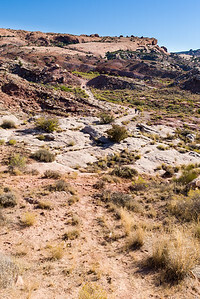 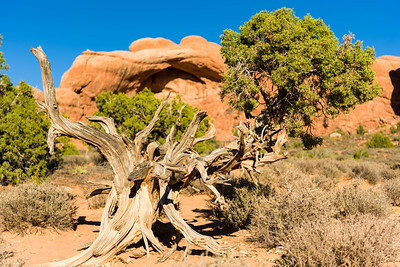 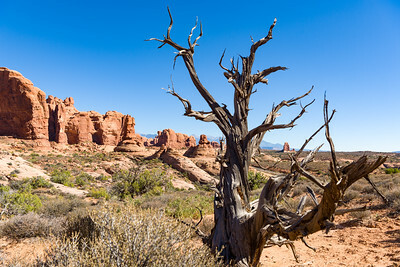 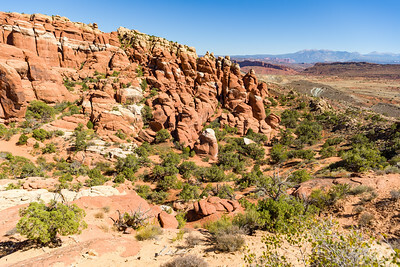 Despite all the warnings posted on the trail about the need to take lots of water while walking in the desert in late summer heat, many people still did not have a drop of water with them - and several of them needed help or water while on the trail. 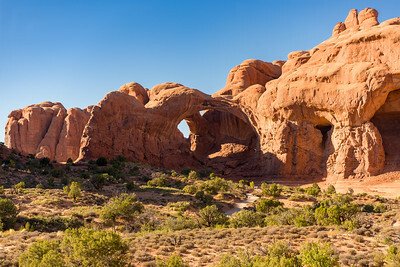 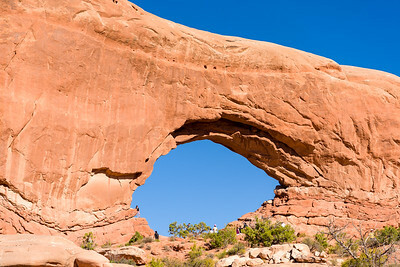 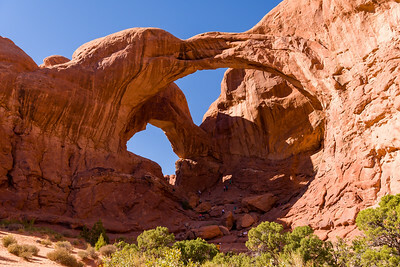 The longest arch in Arches National Park (Utah) - and the fifth longest natural arch in the world - measures 290 feet (88.4m). 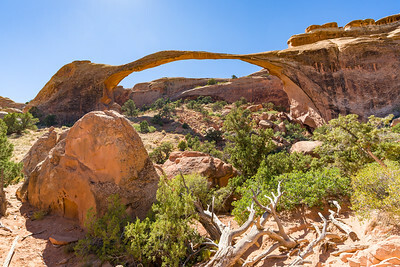 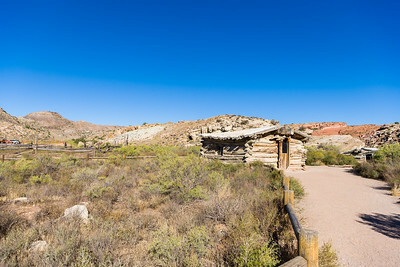 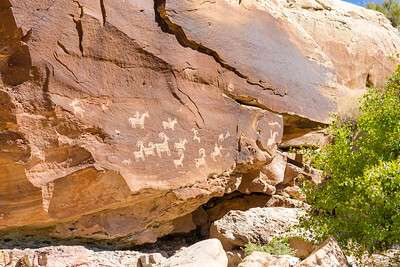 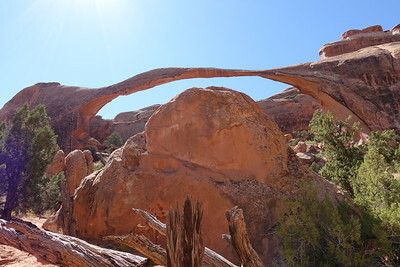 The trail used to take hikers up hill under the span - until three rock falls occurred in relatively short order (starting in 1991) which prompted the National Park Service to close the trail. 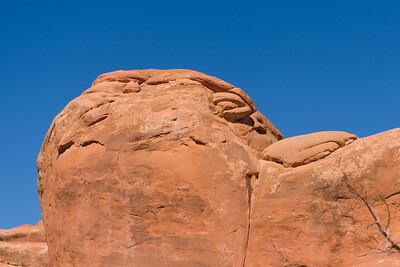 View of the "monkey face". 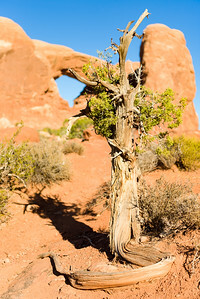 I was intrigued by this small juniper growing in front of Turret Arch. 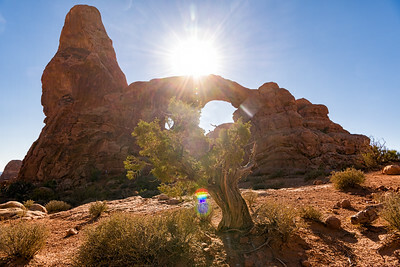 The late afternoon sun was starting to cast an even warmer glow on the already golden tones of the area - including the dust coating the juniper.